Join us in a family-friendly event. The party starts at 11:30 am at Z-Bini Kids at the South Bay Galleria (2nd floor) in the beautiful city of Redondo Beach and you can drive to the beach/pier after to top the day off! Celebrate Hanukkah with award-winning author Alva Sachs and Dancing Dreidels. Special story time at 10:30am with Alva Sachs, award-winning children's author! Fun with Hanukkah and dreidels! 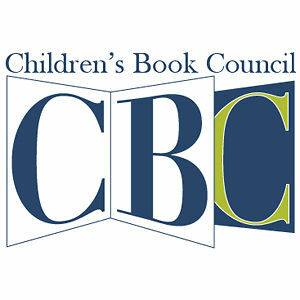 The Orange County Children’s Book Festival is in its 15th year! There were over 125 authors, more than 25 illustrators, dozens of storytellers and great family-oriented entertainers last year. You and kids of all ages are invited to the Whimsical World Premiere Party celebrating the release of The Little Unicorn children's book! Bring the family to the Chateau Briand Caterers on Saturday June 30, 2018 from 12:30-3:30PM for a fun filled afternoon as we celebrate The Wish, a newly released children's book which inspires and teaches everyone about kindness, inclusion, and the value of focusing on the ability in disability. The Wish is a magical story about two young fairies, Audrey and Vivienne, who live in a colorful village. Audrey does not speak with words yet, and Vivienne is kind and includes Audrey in all that she does. They are surprised by a fairy godmother that grants them three wishes, and what they do with these wishes will warm your heart and spread joy and kindness to all who read this book. Publishers Association of Los Angeles (PALA) is hosting a panel of some of the smartest folks in the world of independent publishing and self-publishing. Join award-winning children’s author, Alva Sachs, as part of this panel. What do you do when an unwanted guest arrives at your door and closing the door is not an option? Learn how to survive the burden (Alzheimer’s) when it falls on you! McClure shares her journey as her mother’s caregiver and how it impacted the family system. The literary city inspires ideas as different as New Yorkers themselves. At our final Only in New York program this season, series host Sarah Maslin Nir sits down with celebrated novelist Jay McInerney and essayist Garnette Cadogan for a lively conversation about how the city has informed and challenged their work. Chaucer's Bookstore will host a book signing and discussion of longevity featuring John Howard Weeks, author of The Healthiest People on Earth and the great-great-grandson of Ellen G. White, founder and prophet of the Seventh-day Adventist Church. Adventists are known for their longevity and founded the only "Blue Zone" in the USA, where people live about 10 years longer than elsewhere. Kareem Abdul-Jabbar as keynote. Renowned book expert and literary speaker Nancy Pearl will emcee. Funds raised will support literacy at 49 libraries.